Why do we see such an increase in bug activity in the spring? Well for starters, the warmth and moisture that comes with spring weather is just the invitation that insects need to come out of their winter hiding spots. Spring also happens to be mating season, which means nesting season. Aside from food and water, shelter is one of the main things that bugs are looking for when they come into your home. Keep reading for tips on how to protect your family and make your home less attractive to some common spring pests like ants, stink bugs, and mosquitoes. 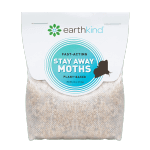 Common Spring Pests – Ants, Stink Bugs and Mosquitoes, Oh My! While there is no true ant season, ant behavior does change with the weather. 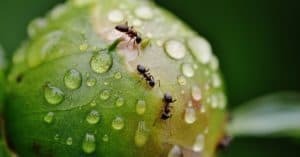 In the springtime particularly when many areas get more rainfall, you may tend to find ants around the house as they seek food, shelter and higher ground. 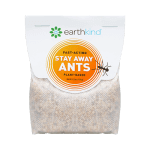 If you find yourself facing an ant problem, there are a few steps that you can take to get it under control. 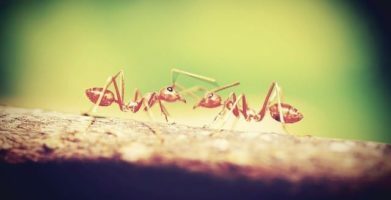 First, you need to determine if you have outside ants that are simply coming into your home for food and water, or inside ants that have created a colony in the home. In either case, you want to go to the root of the problem, blocking or sealing their entry point, or getting rid of the colony. When in doubt, call a pest professional for their expert opinion. 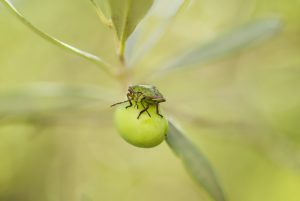 The most active season for stink bugs generally runs from March to September, with a peak in the spring as they mate and reproduce, and another peak in the fall as they seek shelter indoors from the cold weather. While stink bugs don’t pose any threats to humans, they can be quite the nuisance and love nothing more than making your house into their home! Not only are stink bugs difficult to control due to their lack of natural predators, but they also release an odor when they are crushed or threatened, making them tricky to dispose of. The key to stink bug control is preventing them by sealing potential entry points and learning how to properly dispose of them if they do make their way into your home. 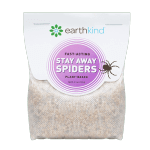 As tempting as it is, resist the urge to squish the little guys and instead opt for a vacuum cleaner, or catch and release them back outdoors. Trust us—your nose will thank you! Since mosquito season is influenced by the weather, it varies across the country. Southern states with warmer climates will see mosquito season start sooner (as early as March!) and it’s likely to last longer too. This means more months of these guys crashing your outdoor barbecues! At best, mosquitoes are just a nuisance, but at worst they pose a serious health risk. 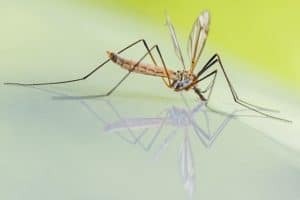 As if the little itchy bumps they leave behind aren’t bad enough, mosquitoes can transmit a variety of life-threating diseases such as Dengue, Zika, West Nile, and Chikungunya with a single bite. Luckily, you can safely protect yourself and your family when spending time outdoors using an EPA-registered repellent like Stay Away® Mosquitoes to keep those ‘skeeters at bay! Take inventory of your home and seal any cracks in the foundation and exterior walls that might provide easy access for pests. Replace old window screens. The recommended mesh size to keep bugs out is 18×16 mesh. 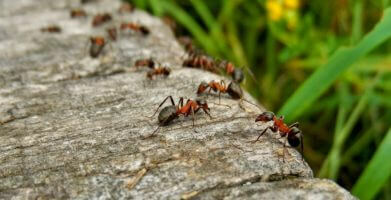 Make your home undesirable to spring pests. Many animals and insects depend on their sense of smell for survival to find food, detect danger and attract a mate, so scent-based repellents make pests Stay Away®. Tidy up and get rid of the clutter that pests love to make into shelter. Clean up food debris and properly store food in airtight containers—don’t forget the pet food! Pay special attention to standing water after rainstorms, checking any water-collecting objects and puddles that may have formed. Install yellow bug lights, which are less attractive to flying insects like mosquitoes and stink bugs. Replace old window screens. The recommended mesh size to keep bugs out is 18x16 mesh. string(66) "Suns Out, Bugs Out! 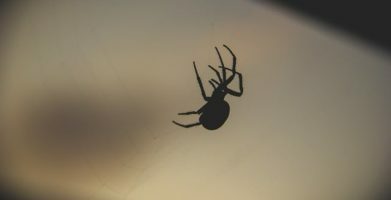 – How to Protect Your Home from Spring Pests"